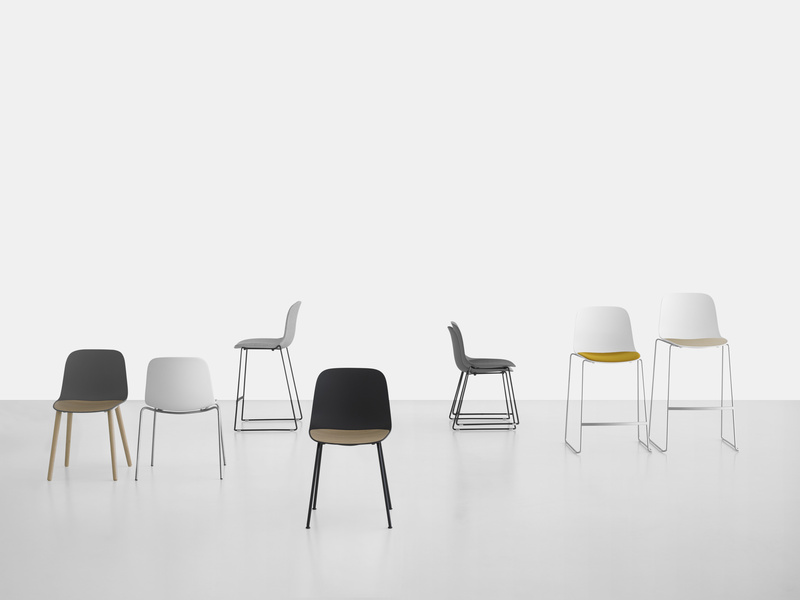 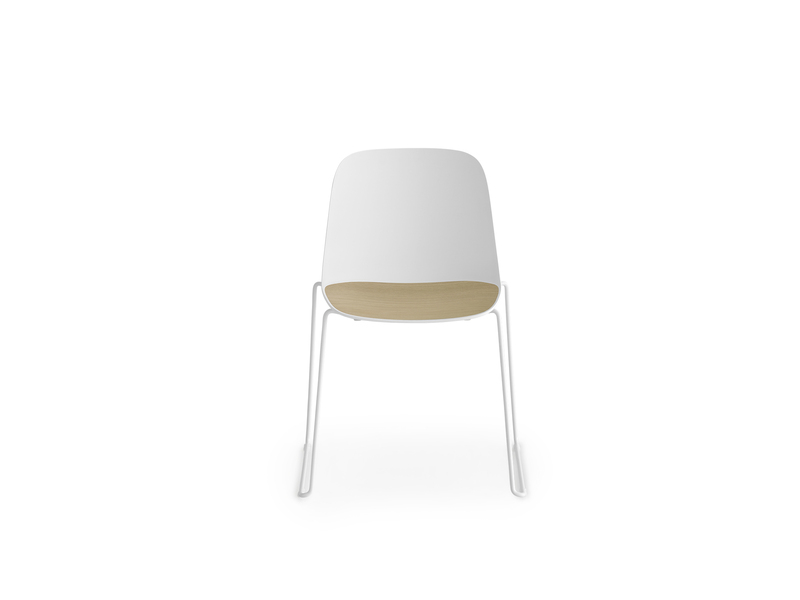 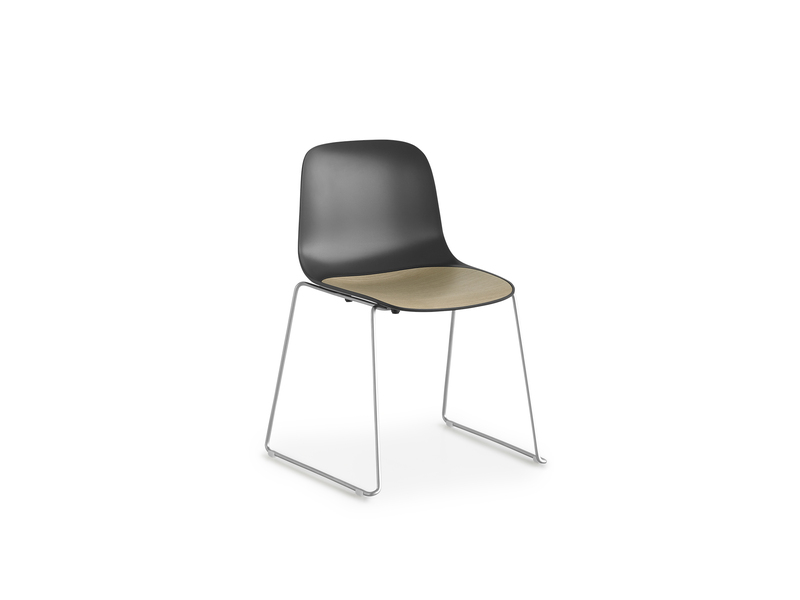 Family of chairs with shell in polypropylene and integrated seamless seat in polypropylene, wood or fabric, with front upholstery or completely upholstered. 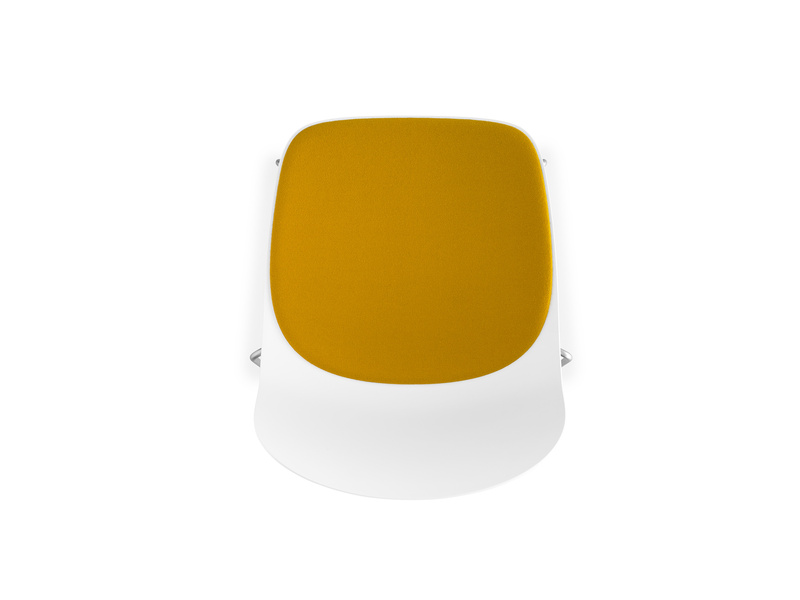 Metal base mat chromed or powder coated with 4 legs, sled base or in wood. 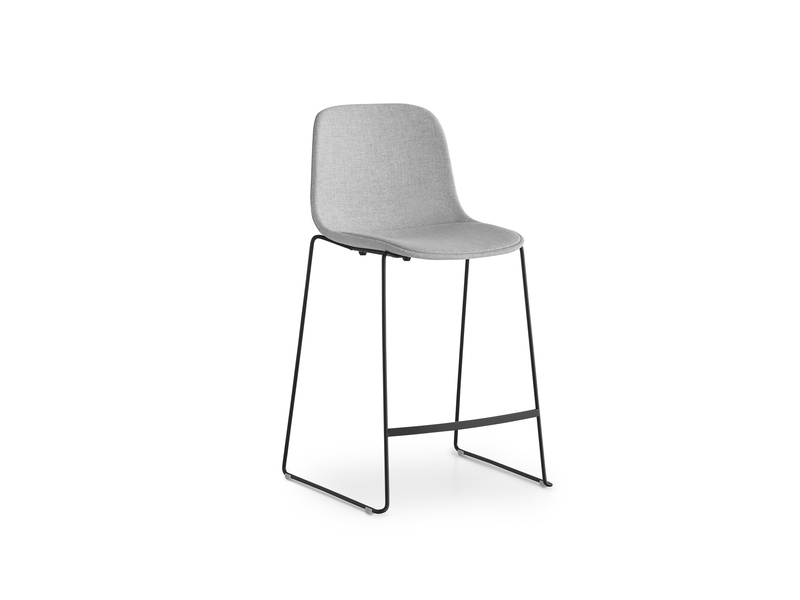 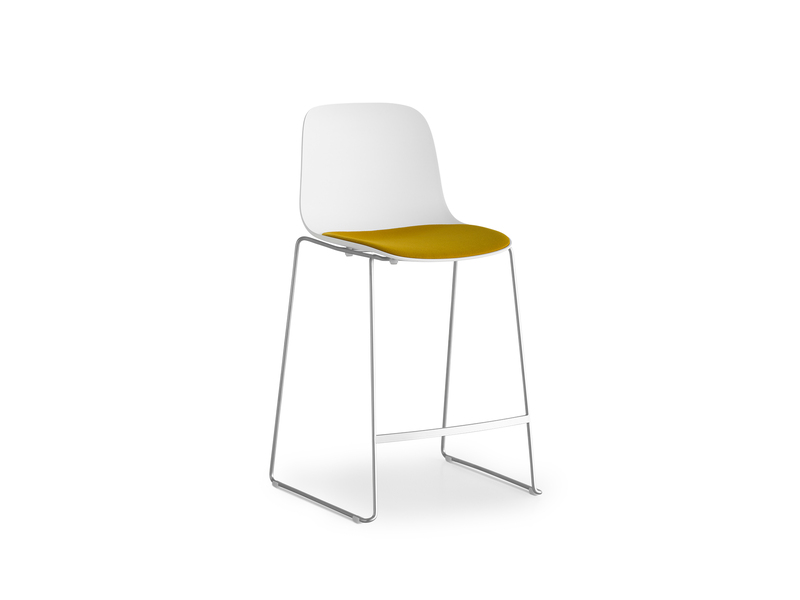 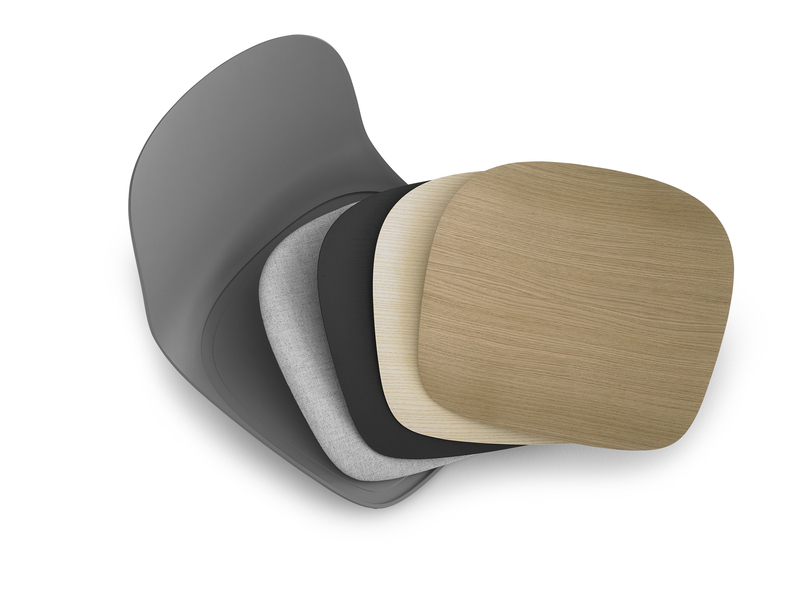 This seating program includes a stackable stool.